I'm not gonna front, my knowledge of reggae music is limited to that of Bob Marley and Major Lazer; instead of acting the part of the typical white guy who puts on a rastacap and starts jamming to "One Love," I'll admit that I'm not exactly the go-to guy when it comes to the genre. Enter Cassia, the lovely and talented half-Jamaican half-Italian songstress who seamlessly combines elements of reggae and pop in a manner where one style doesn't over power the other, allowing new listeners to easily vibe with the music. 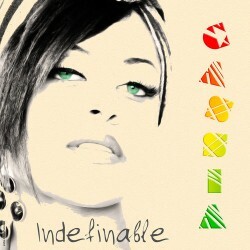 "Slow Down," the single off of her latest EP, Indefinable, is a perfect example of the aforementioned blend of genres. If you're looking for a fun and upbeat soundtrack for your sumer, Cassia's got you covered.